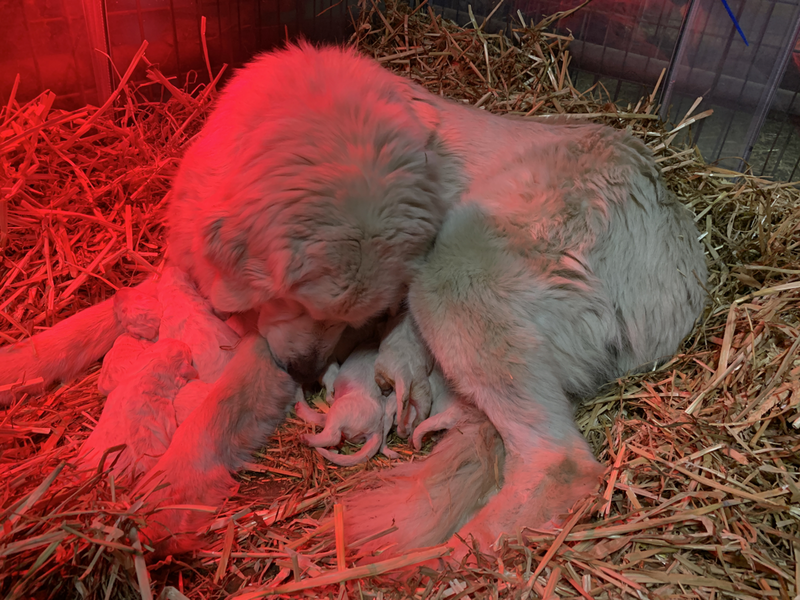 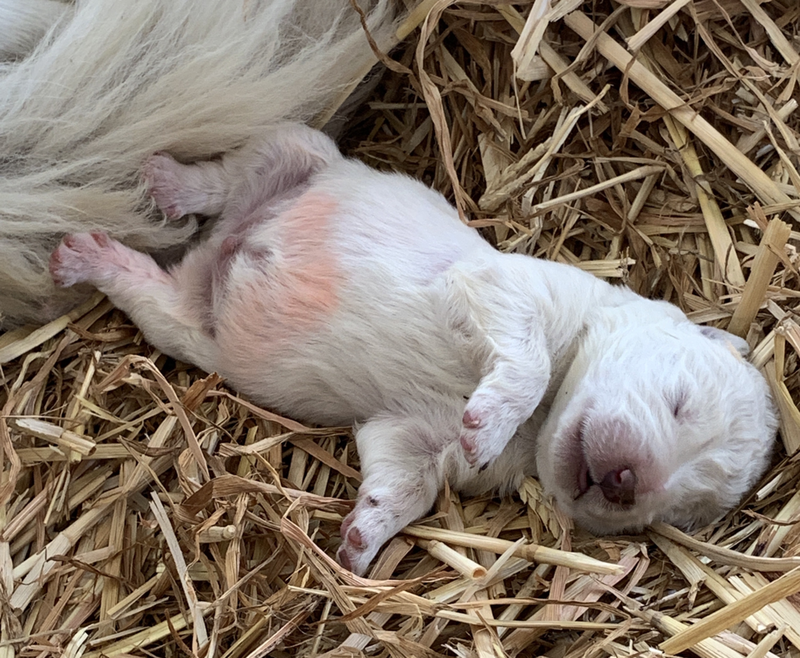 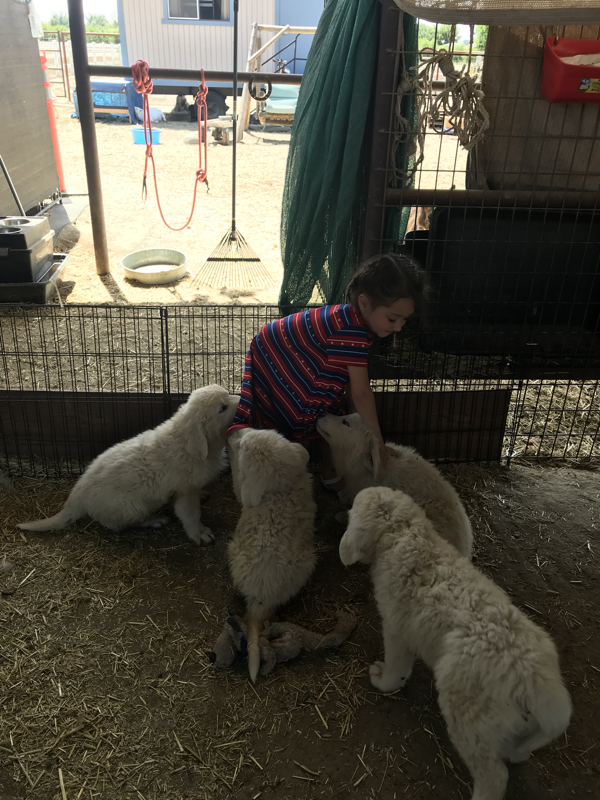 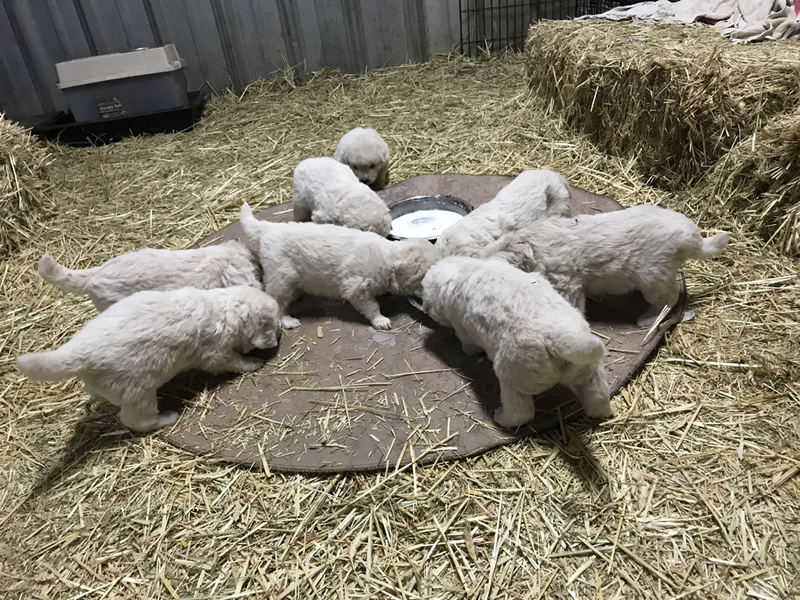 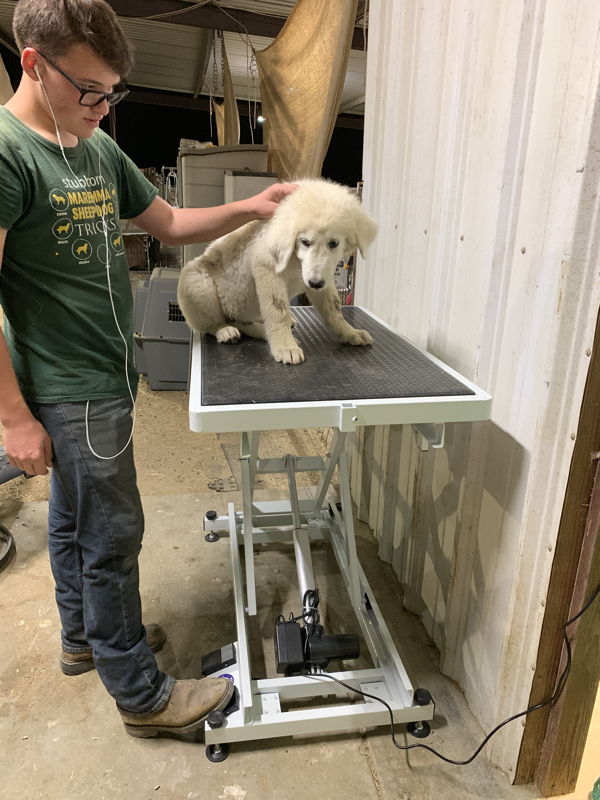 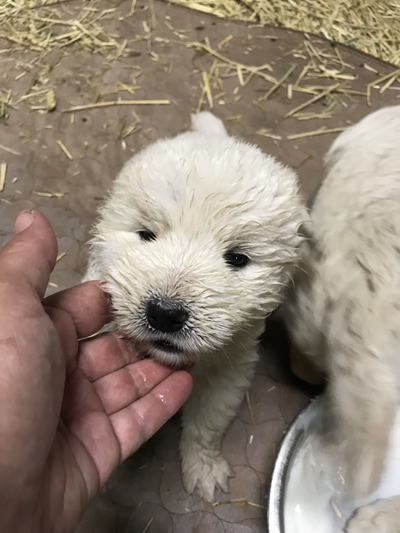 Maremma puppies are here! 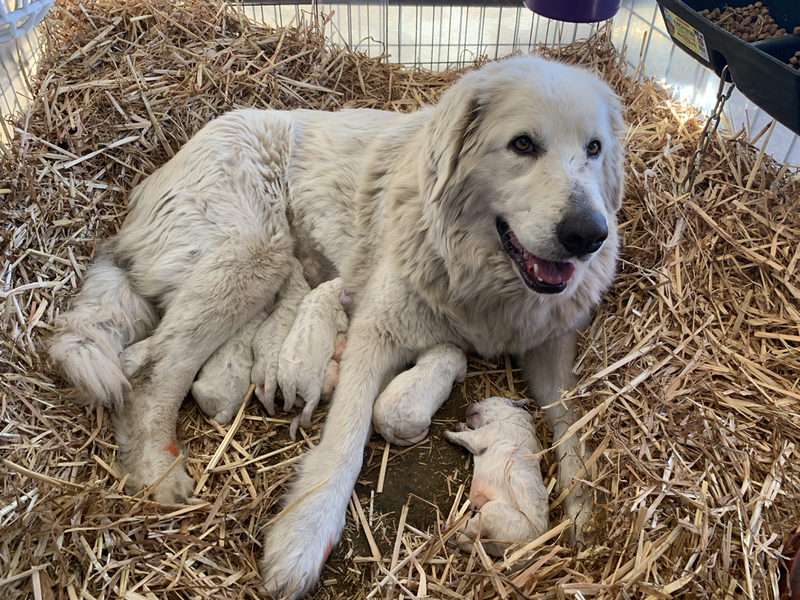 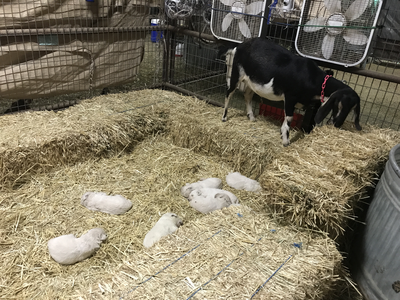 Genevieve had a litter of 9 puppies born 3/30/19! 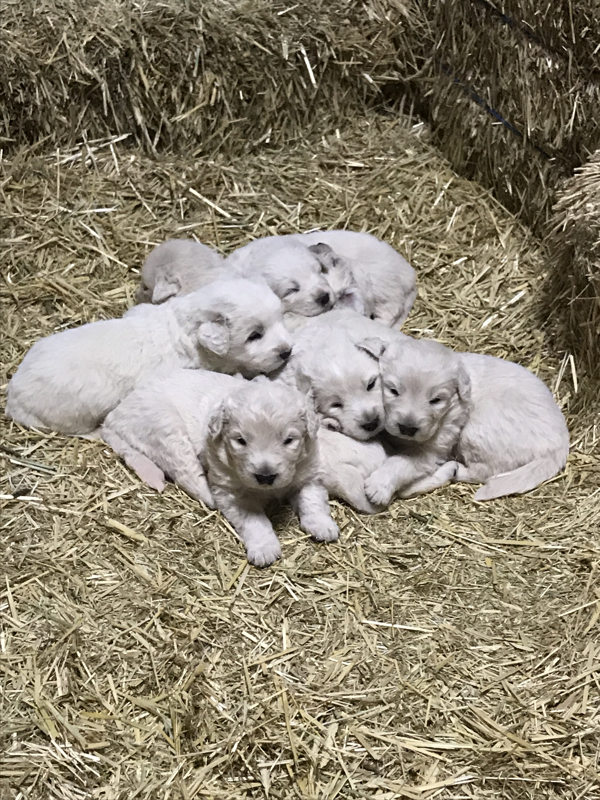 Puppies are $1000 each and can be reserved with a $200 deposit until they are ready to go. 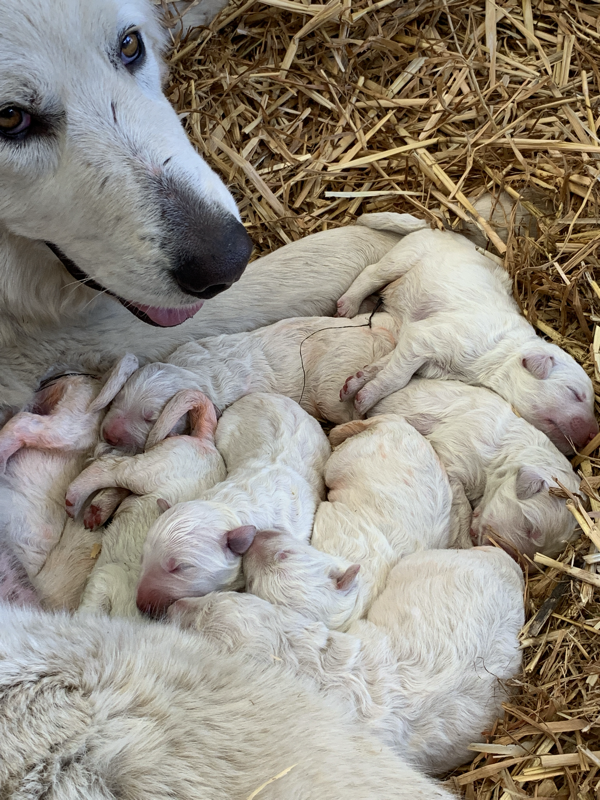 Seven puppies already sold. 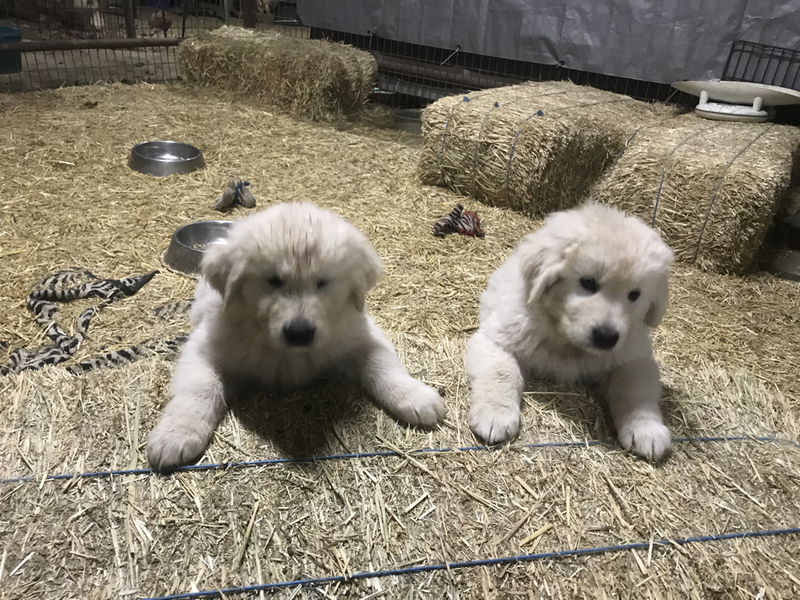 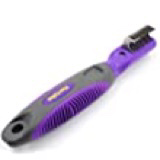 Act fast to reserve yours! 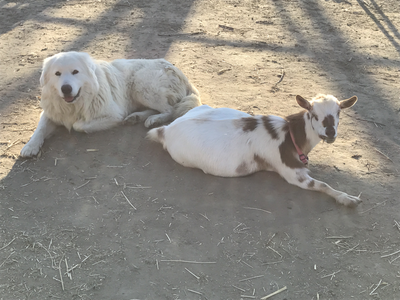 Maremma Sheepdogs are a Livestock Guardian Dog breed that originated in Italy. 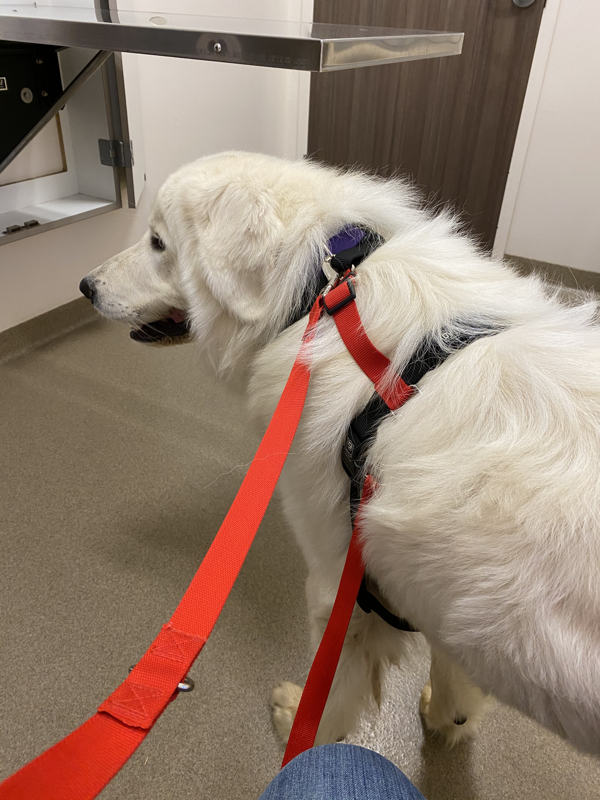 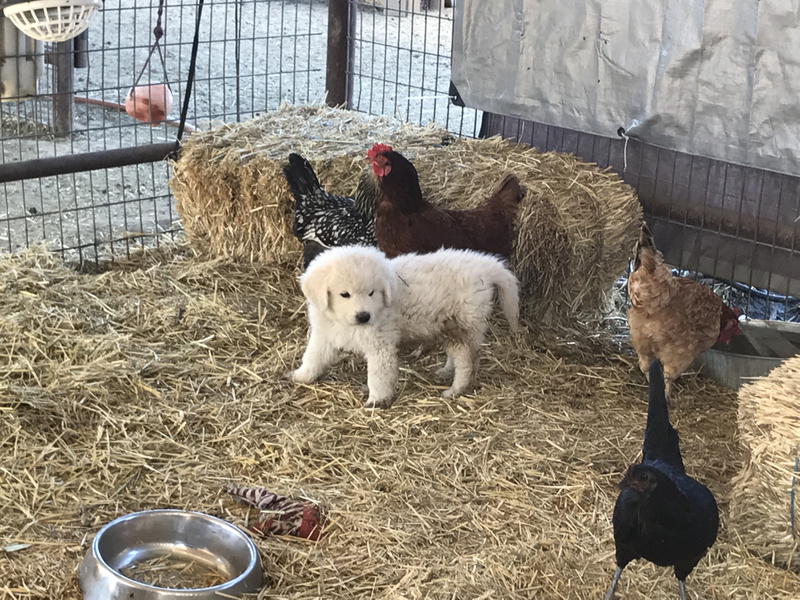 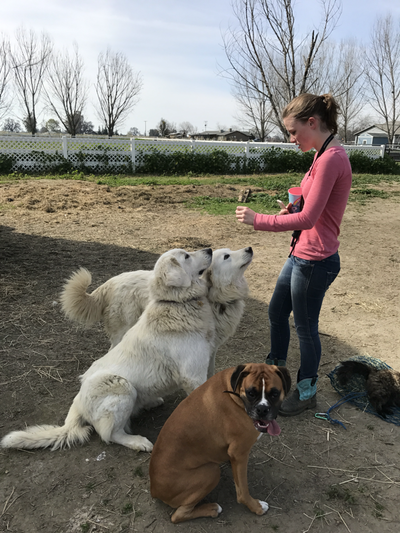 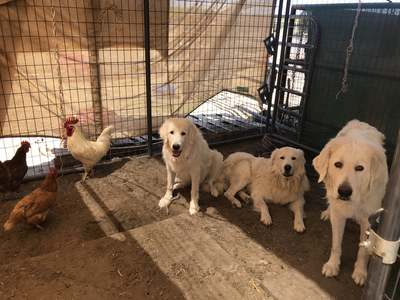 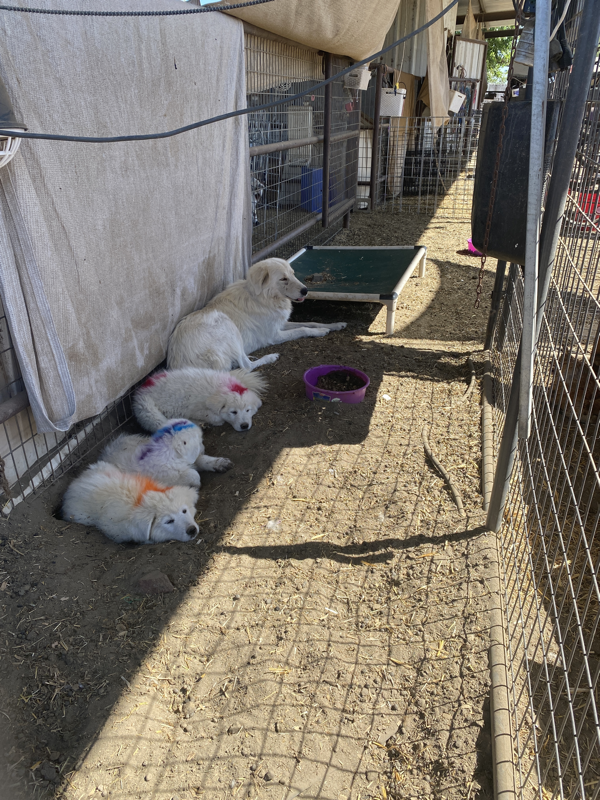 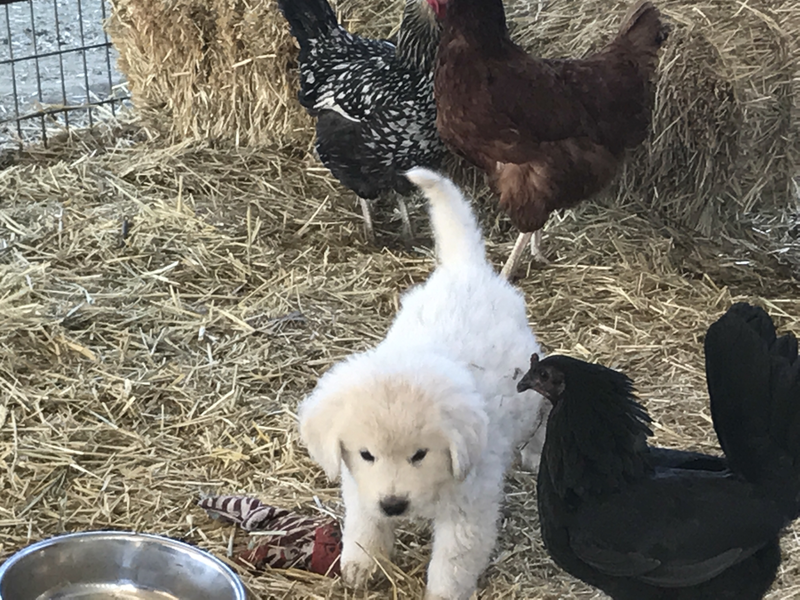 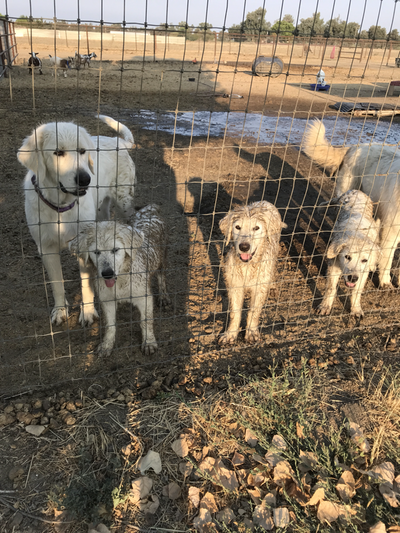 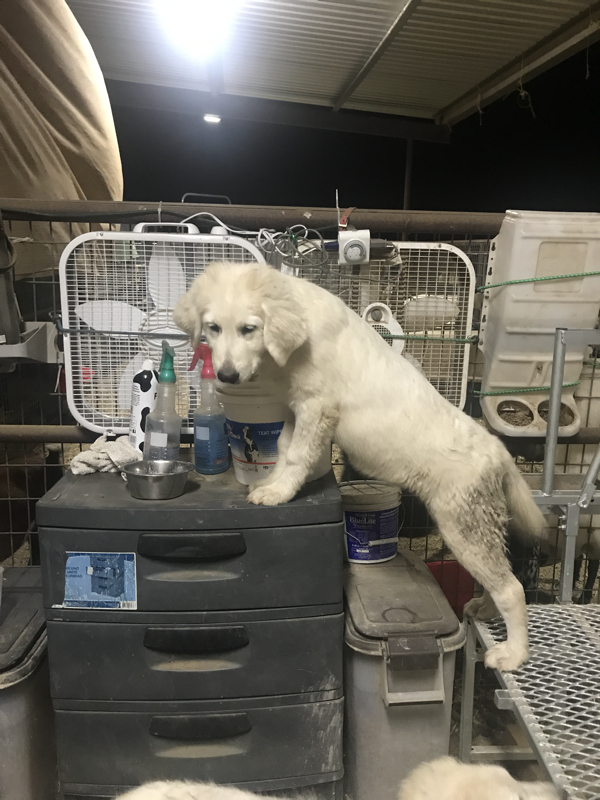 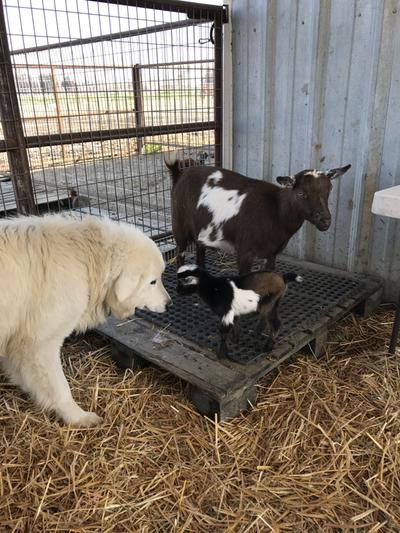 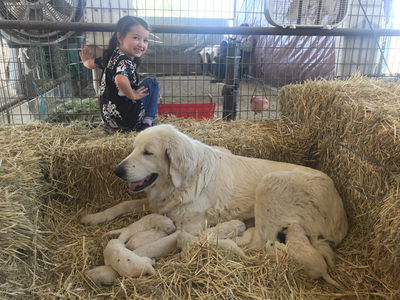 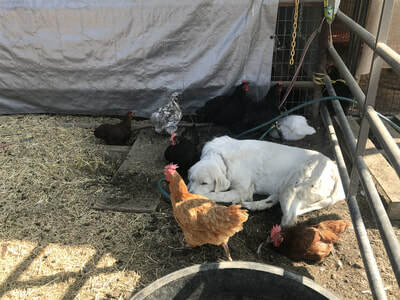 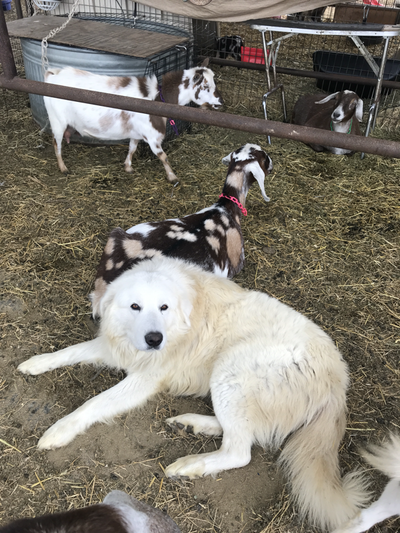 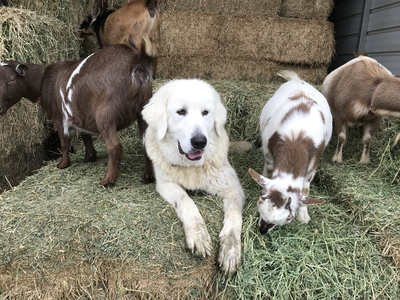 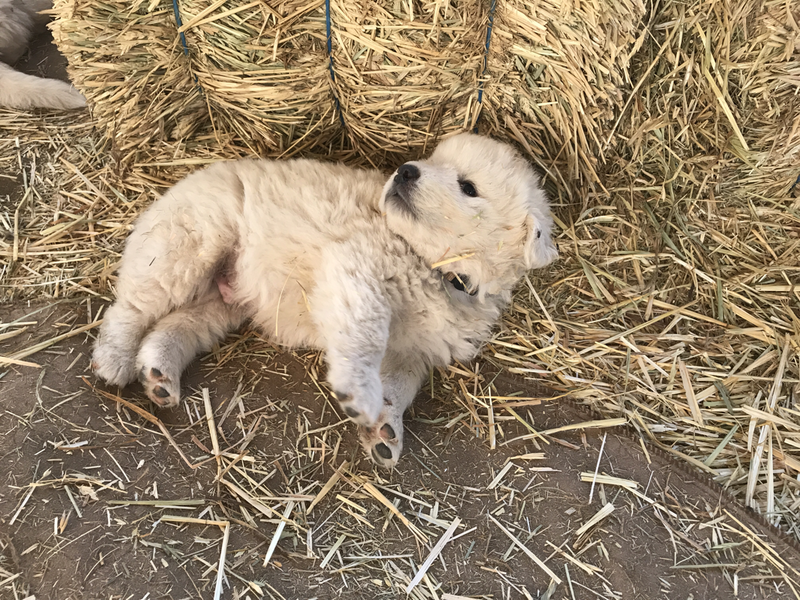 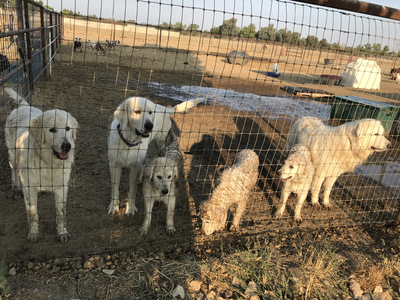 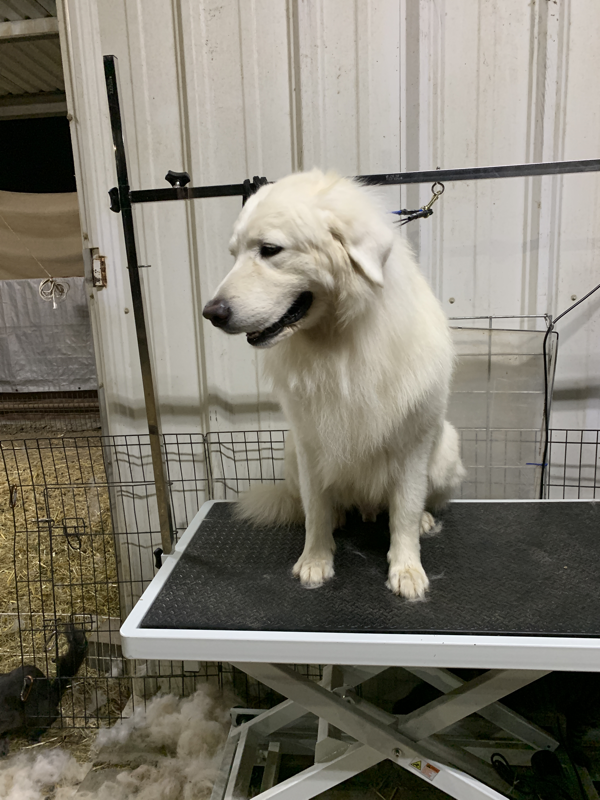 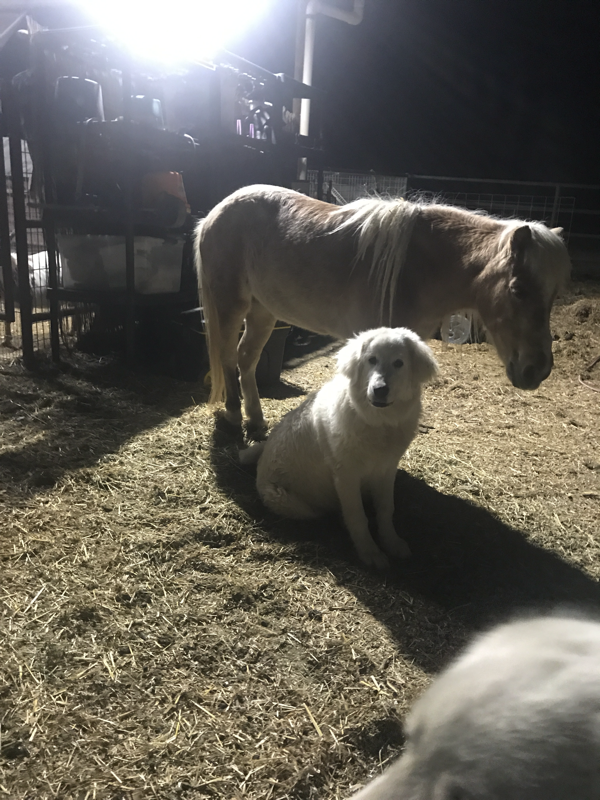 Similar in appearance to the Great Pyrenees but respectful of fences and not prone to wandering, they are a "close in" guardian breed, content to stay close to their stock and are very well suited to both small farms and big ranches. 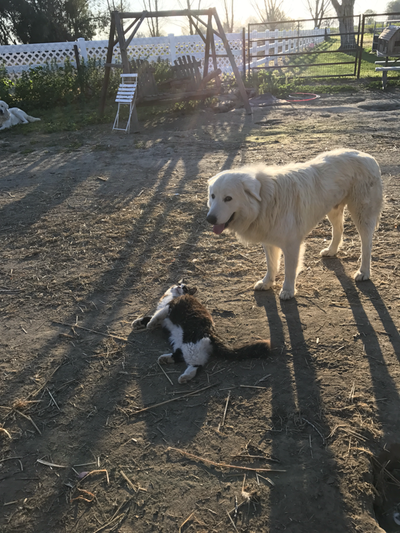 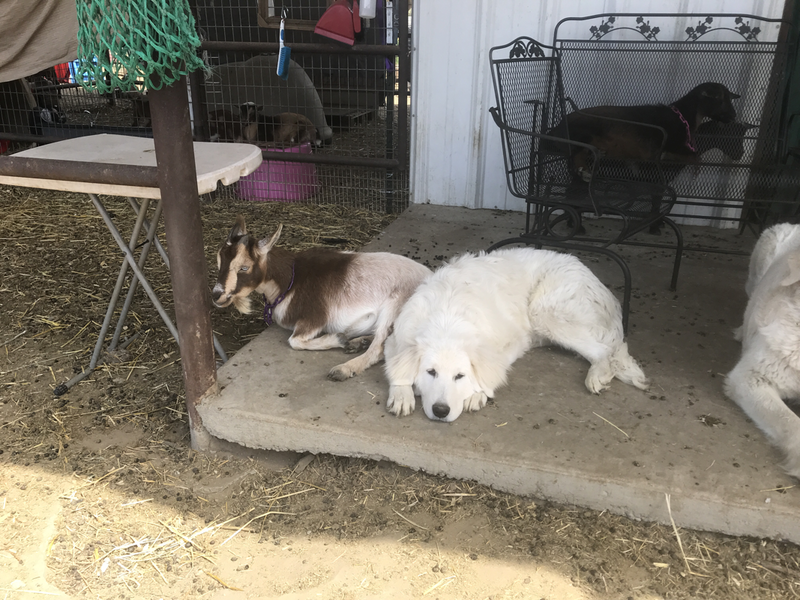 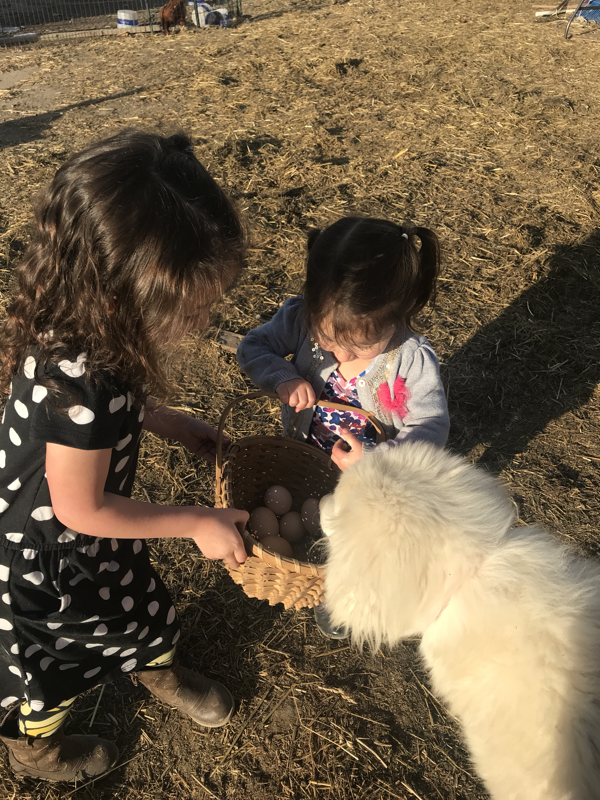 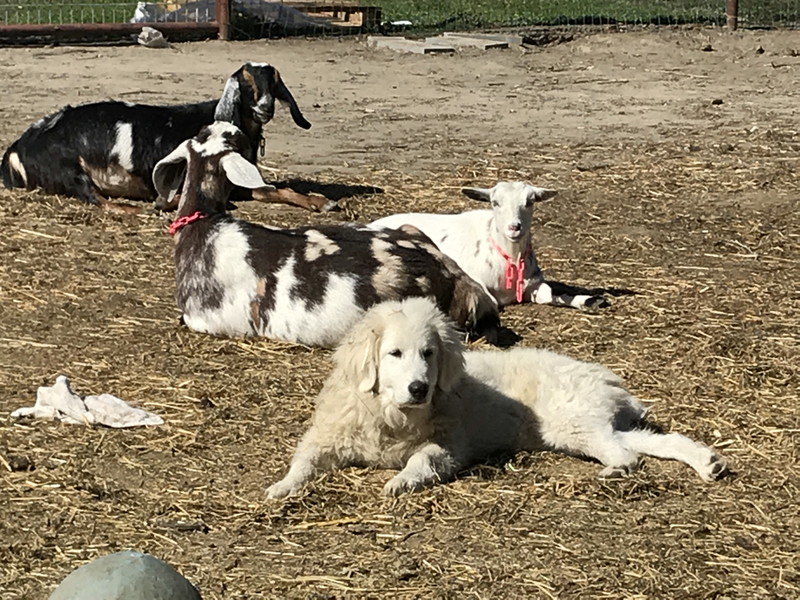 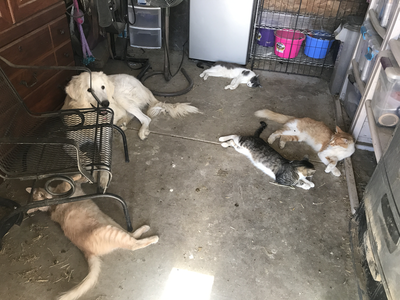 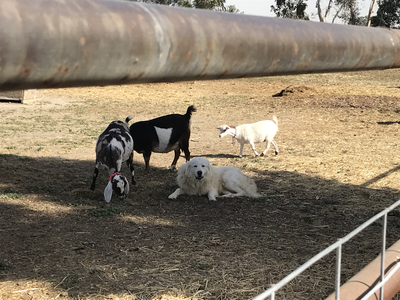 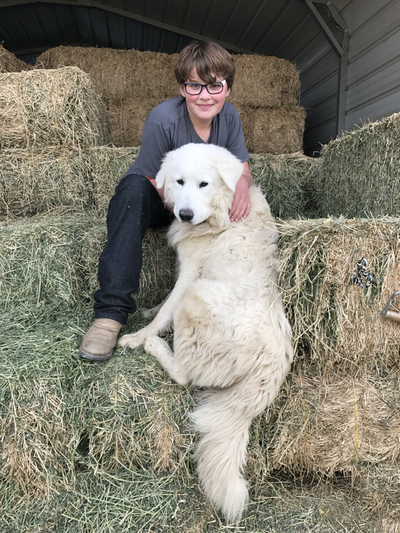 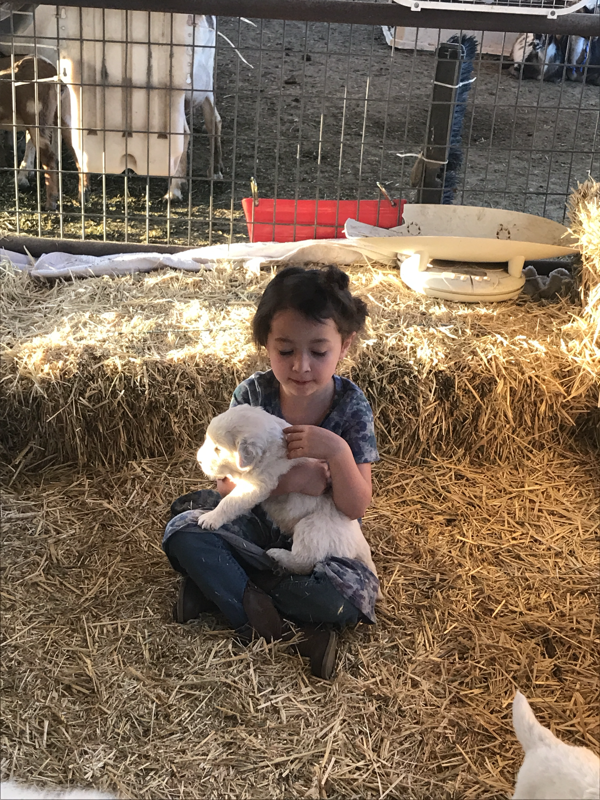 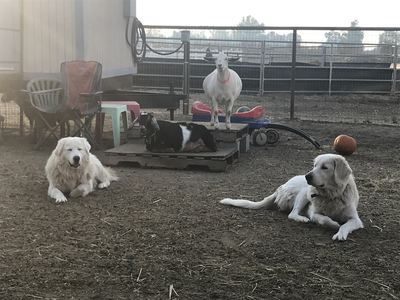 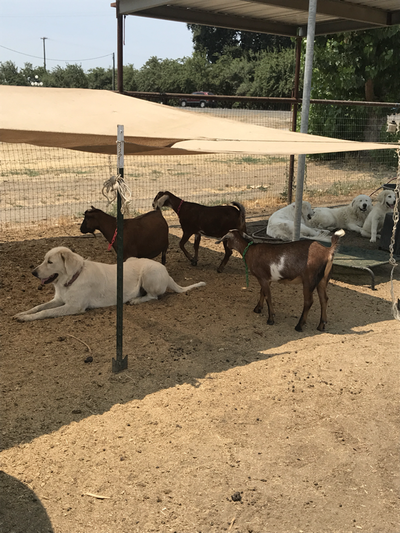 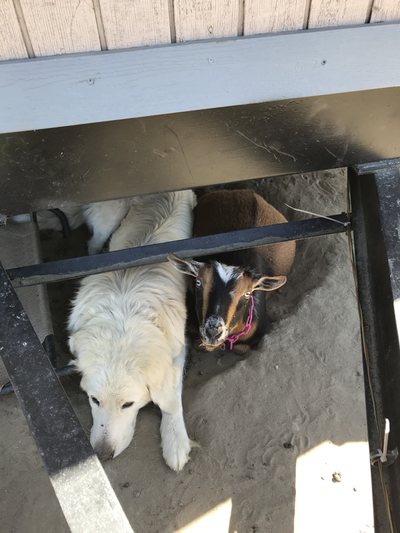 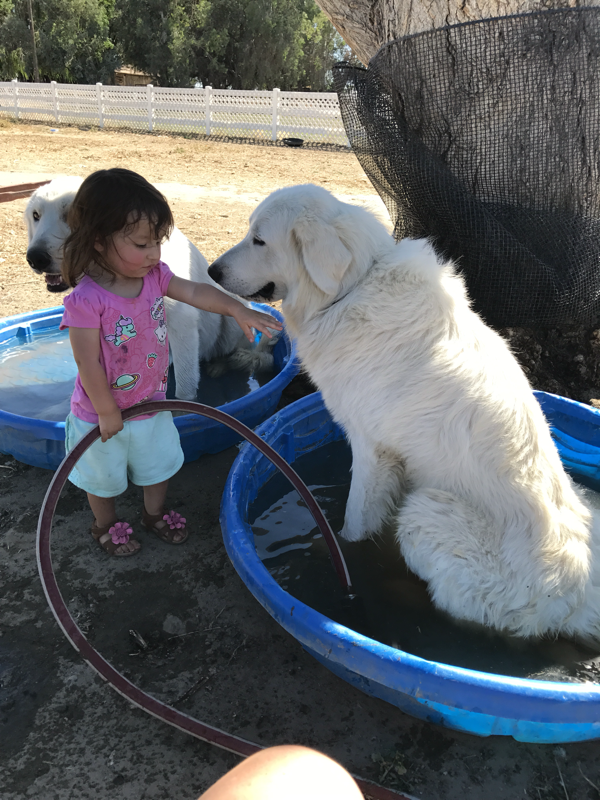 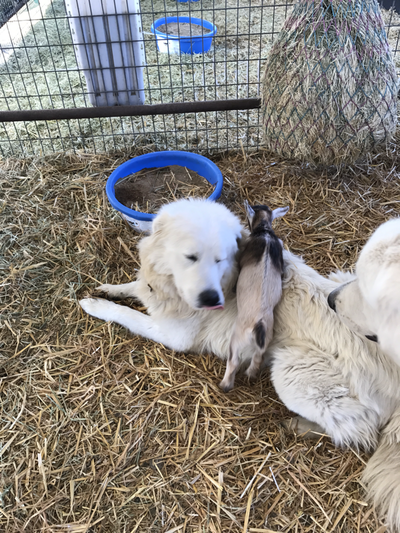 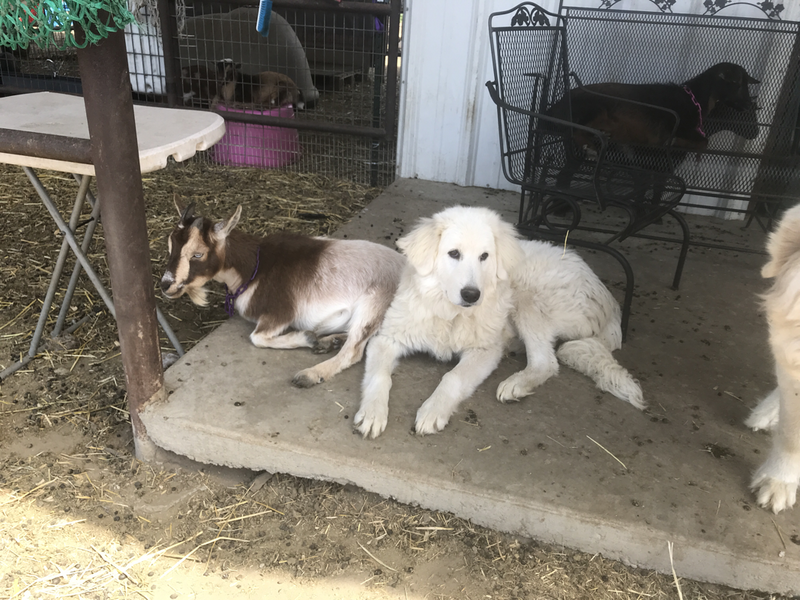 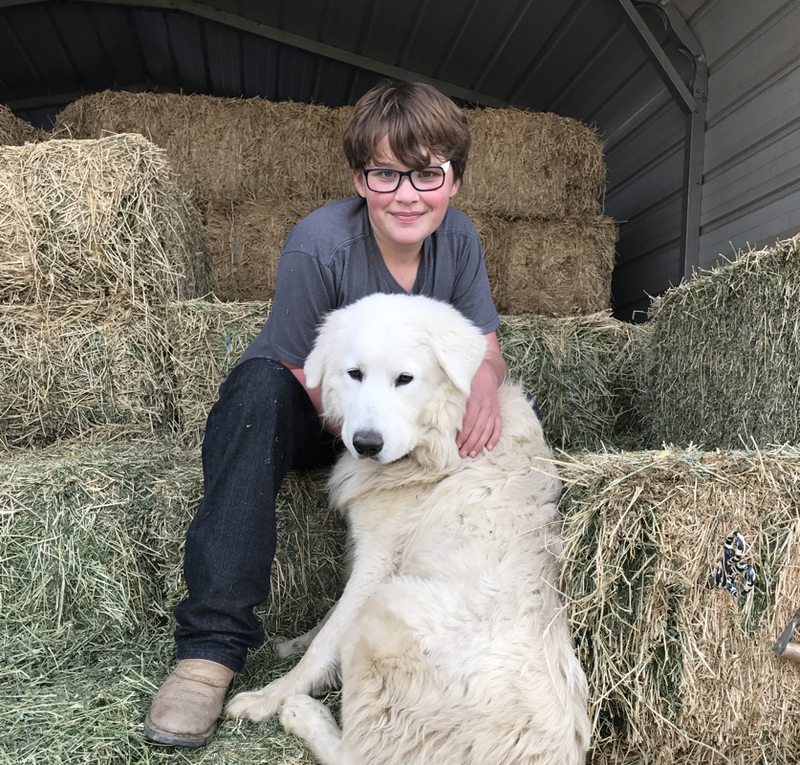 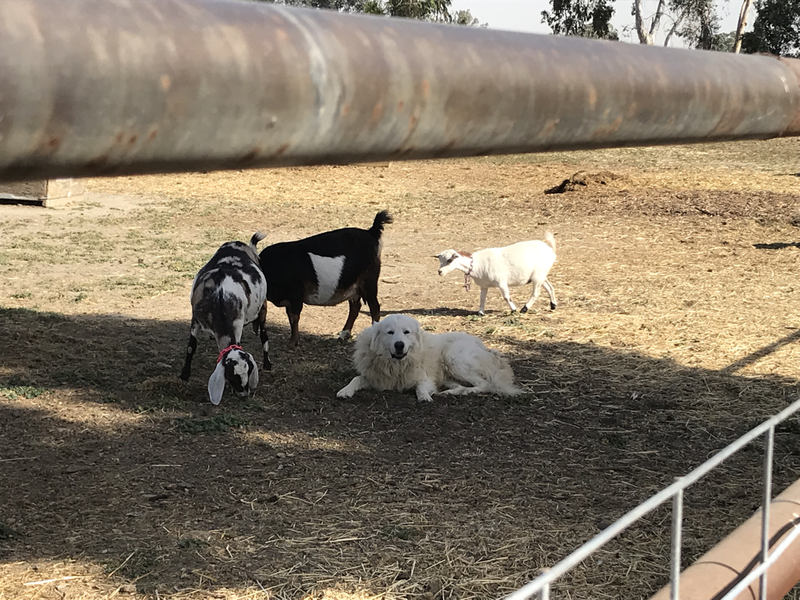 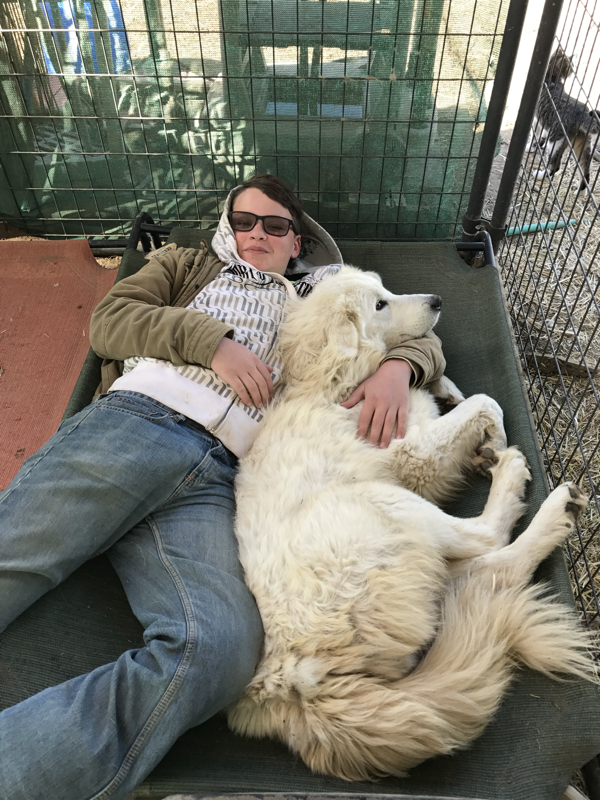 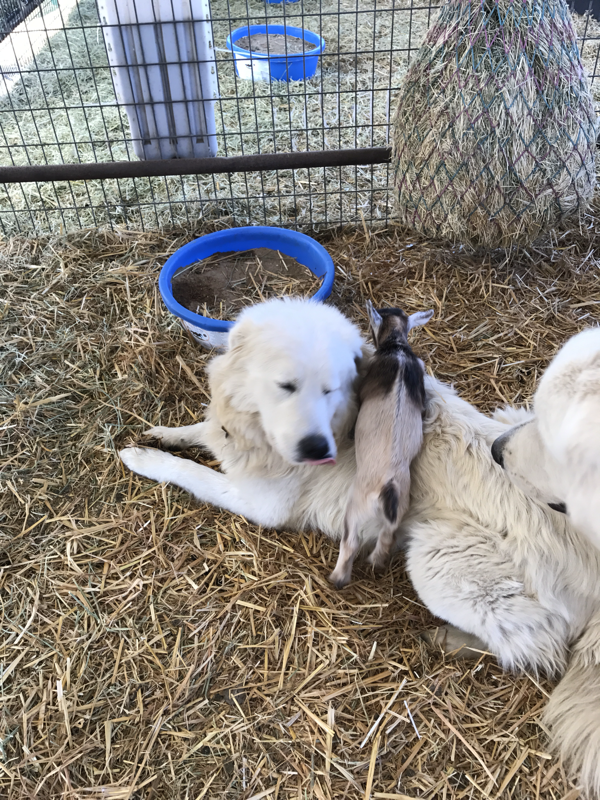 Our wonderful Maremmas protect our goats, horses, poultry and barn kitties from predators, big and small, as well as from human intruders, but yet they are very affectionate with family and friends and love children. 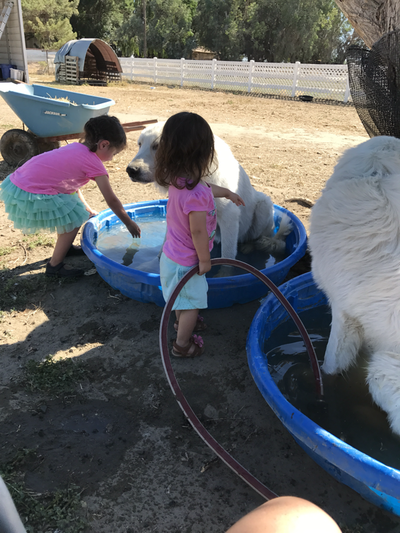 We adore our fluffy polar bear dogs and couldn’t do without them! 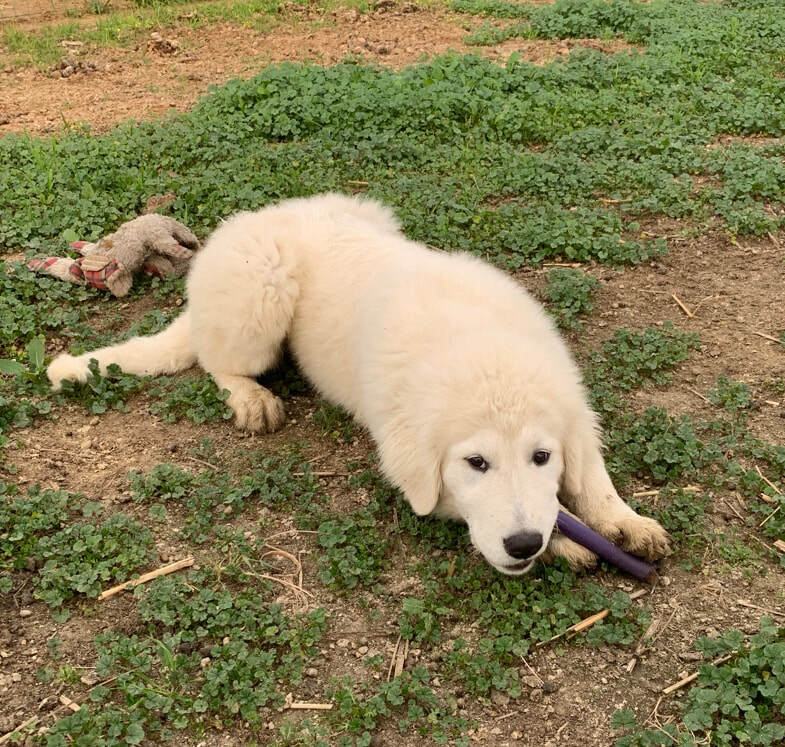 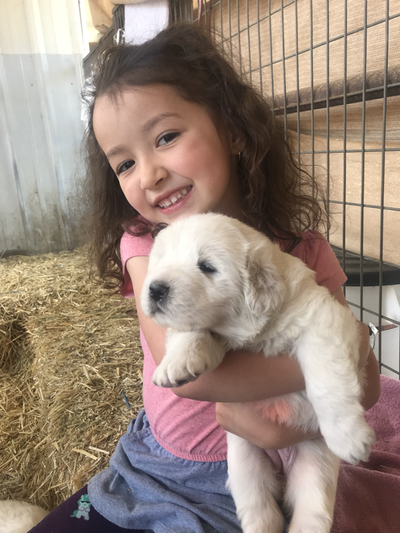 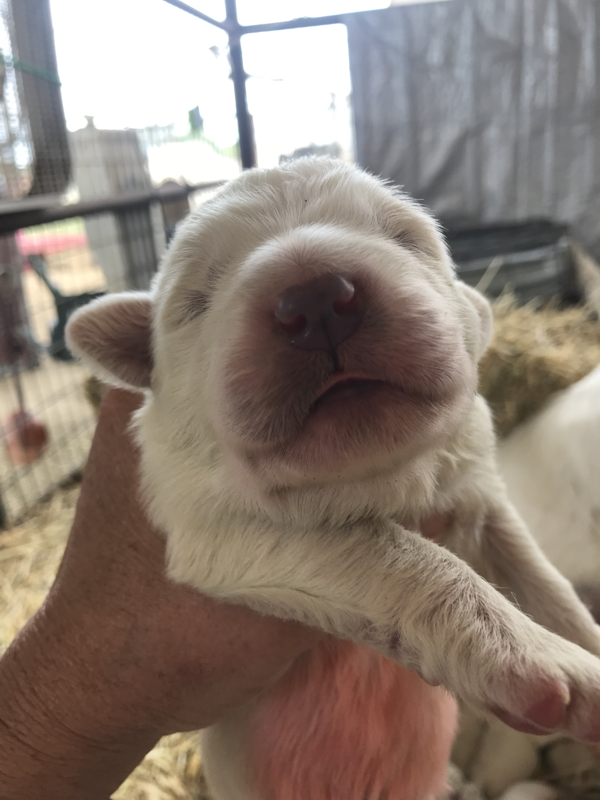 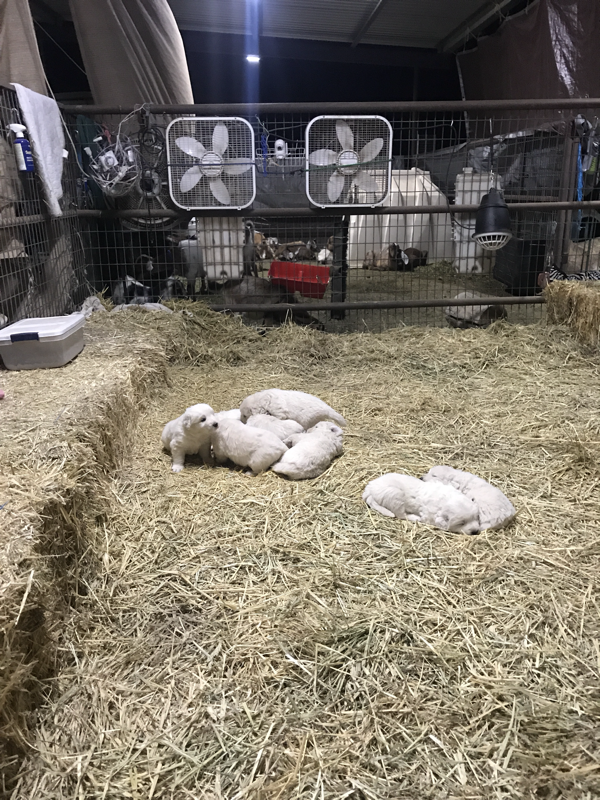 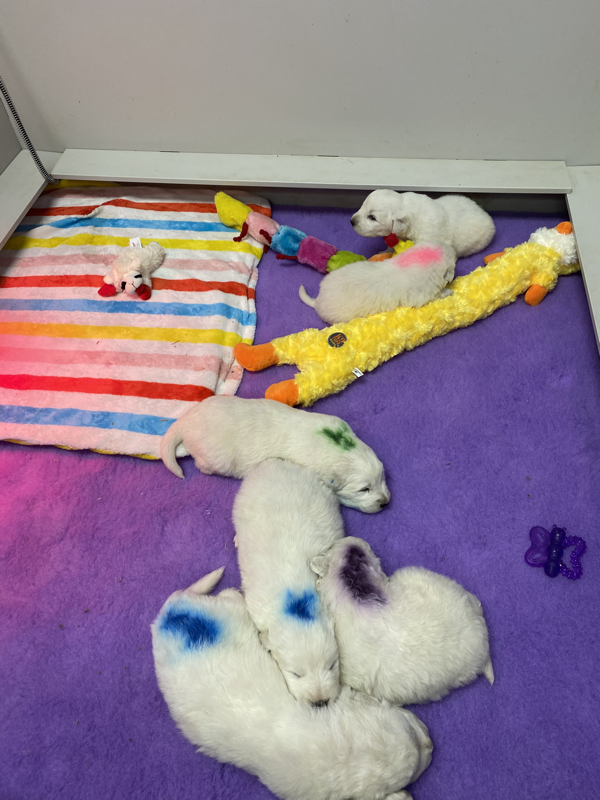 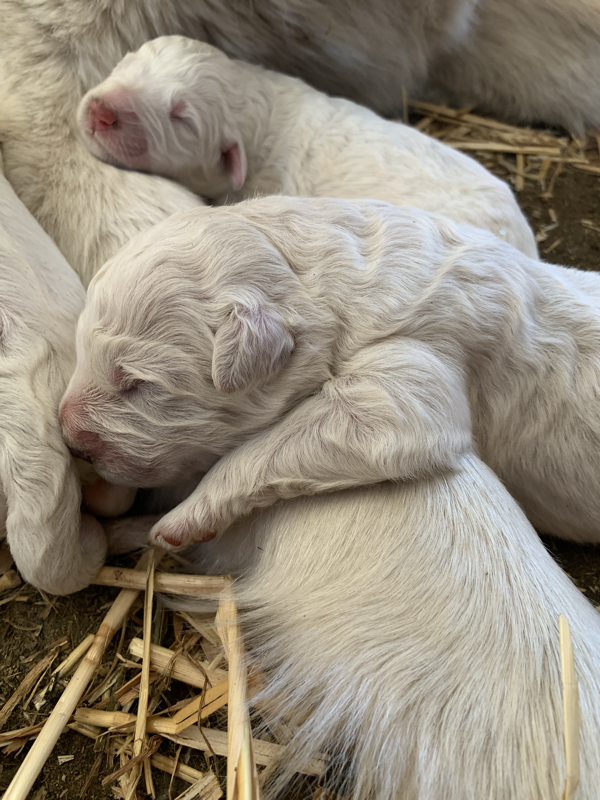 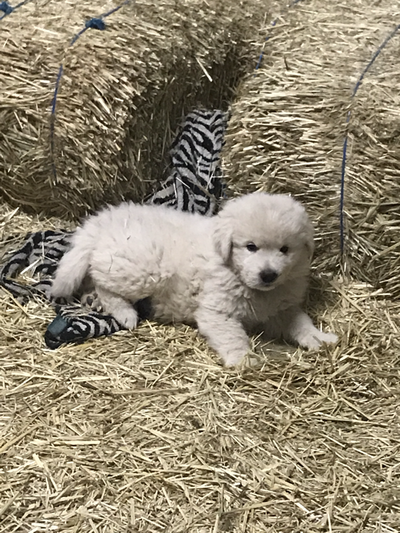 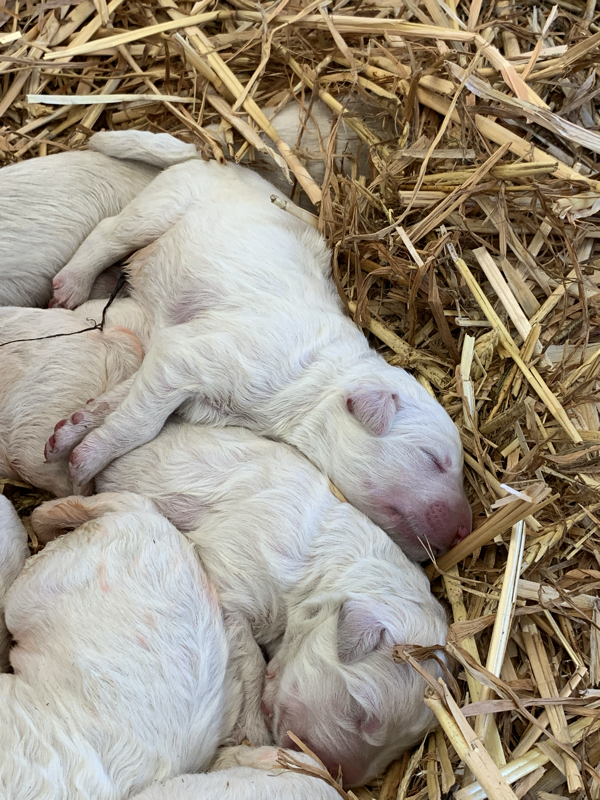 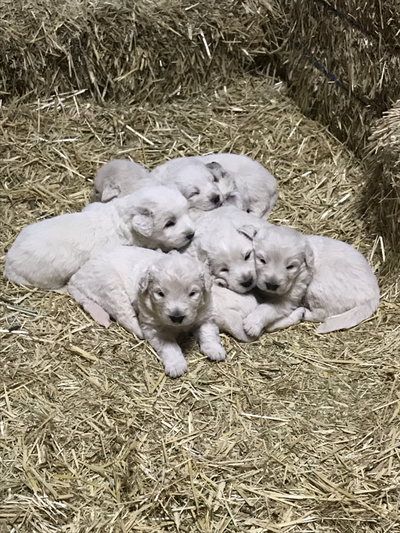 All of our 2018 Maremma puppies are sold! 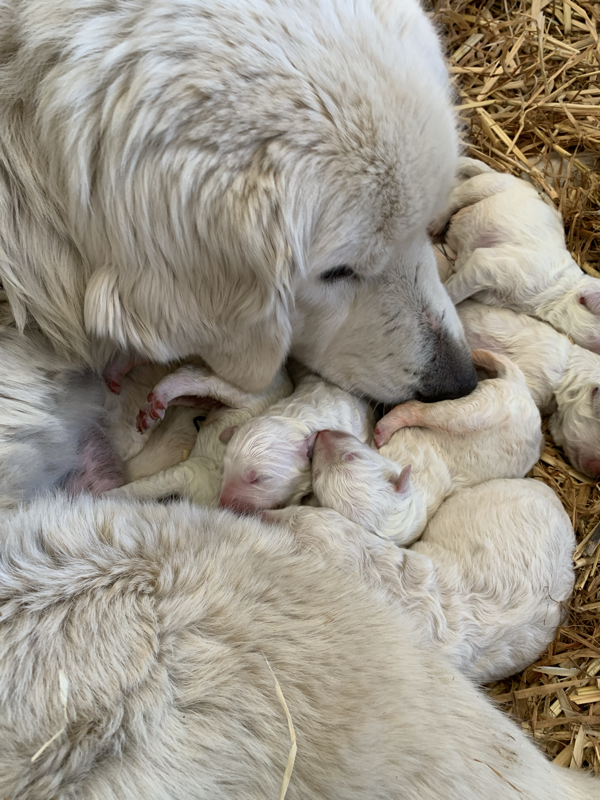 We should have another litter in early 2019. 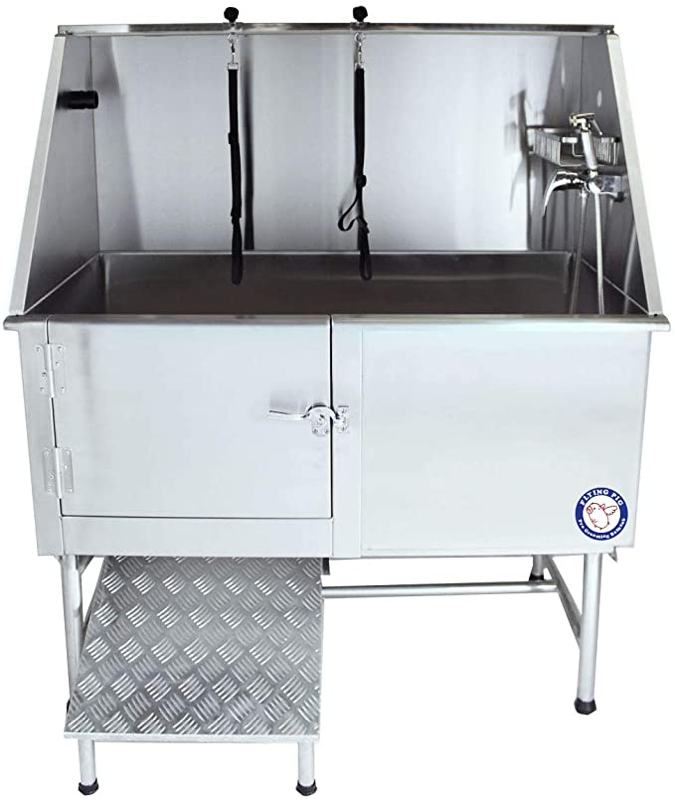 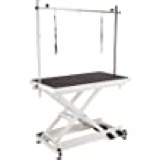 Contact us if you would like to reserve one. 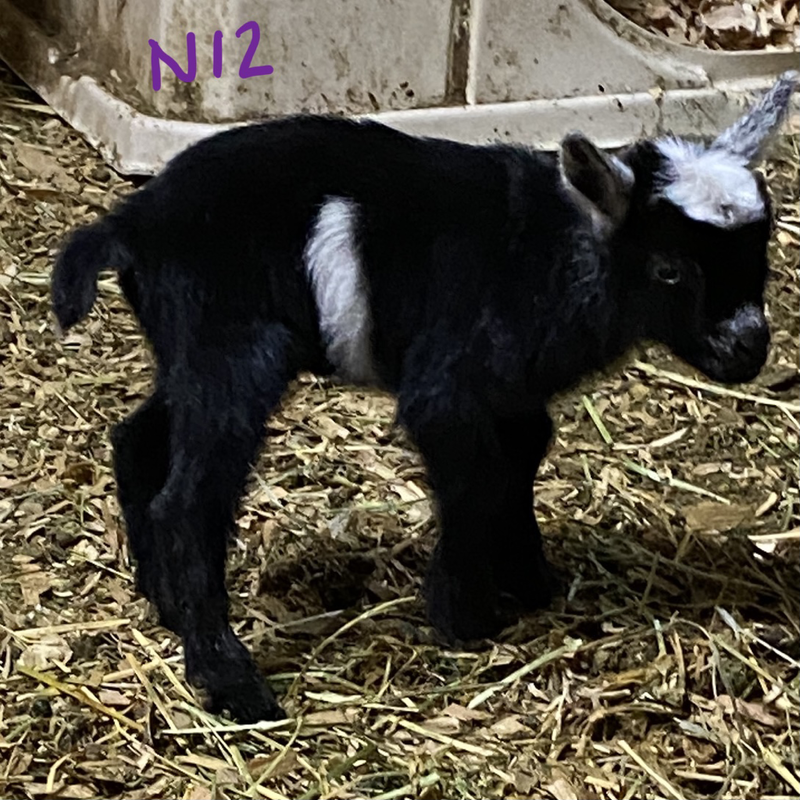 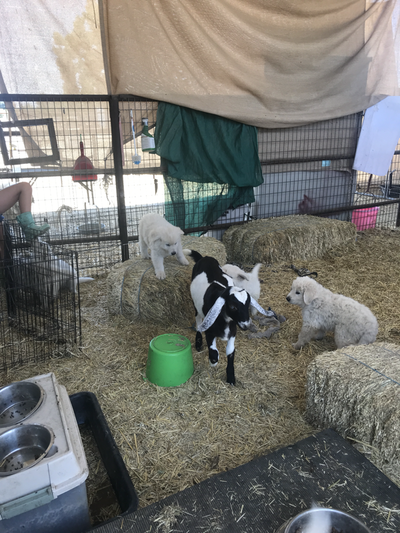 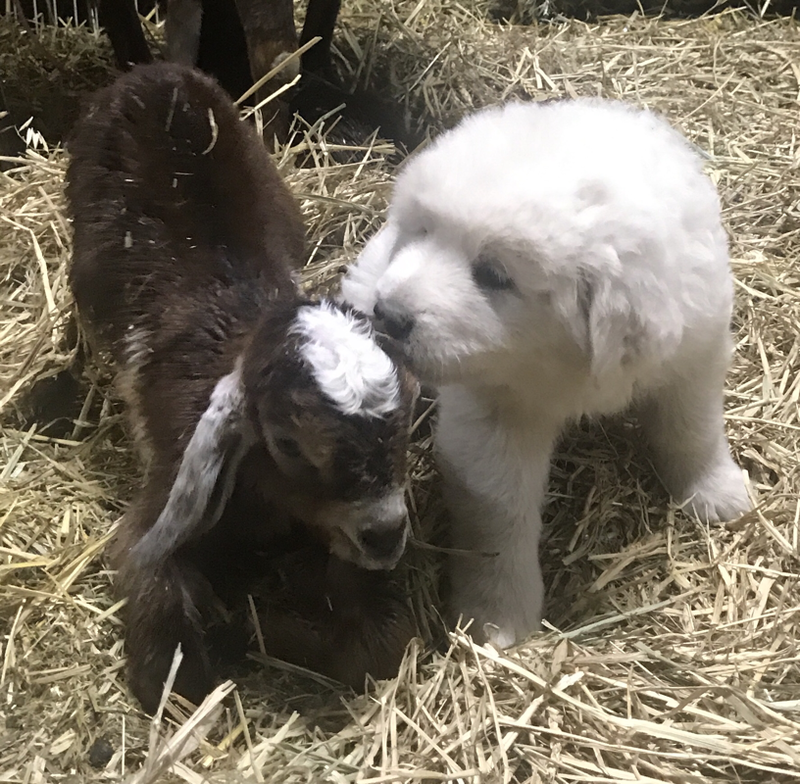 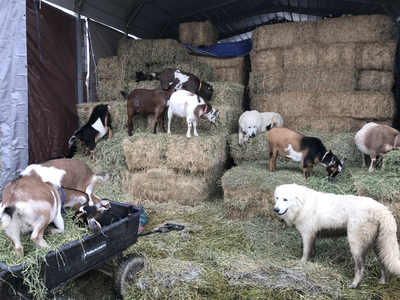 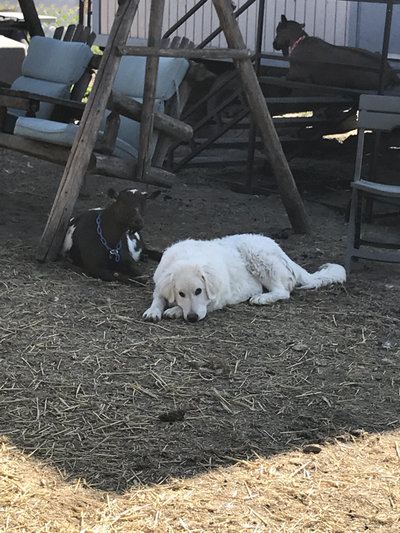 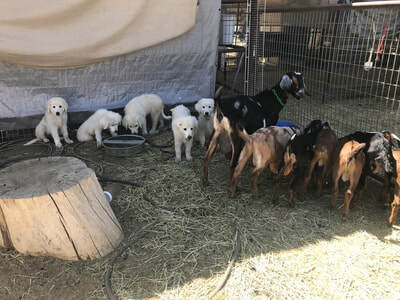 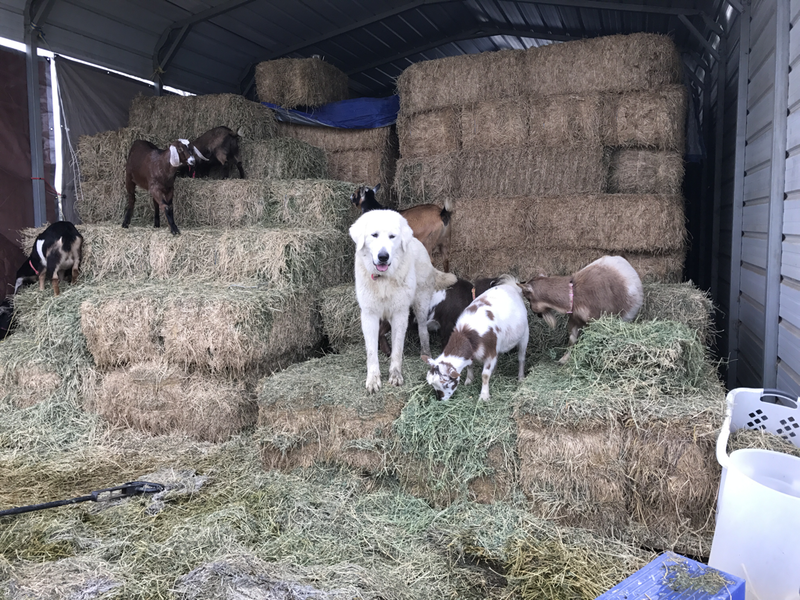 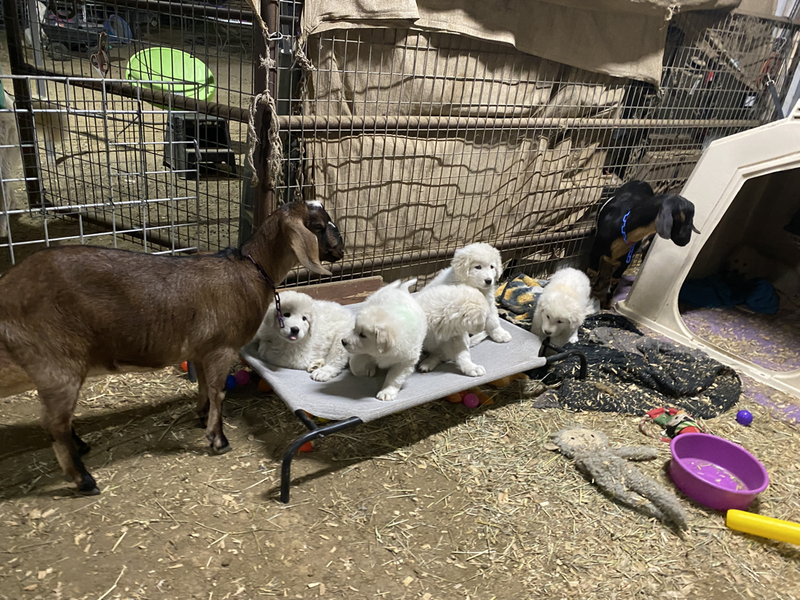 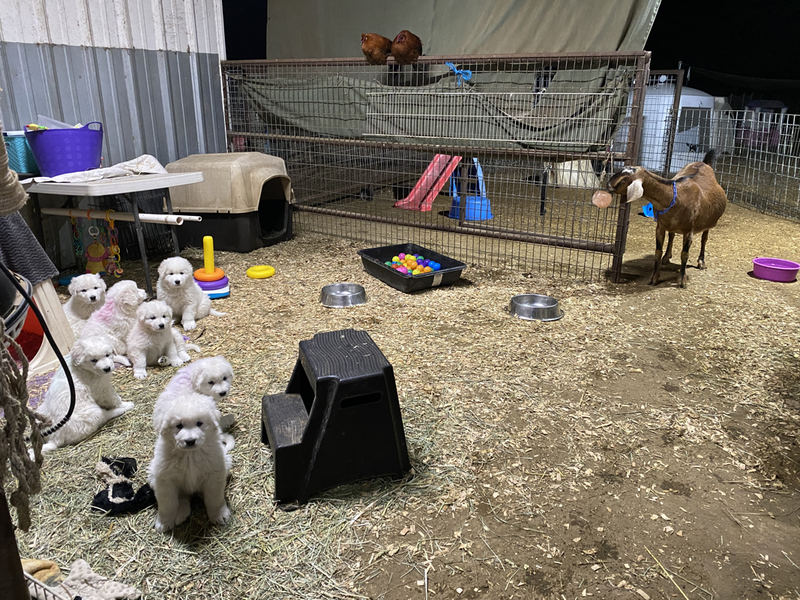 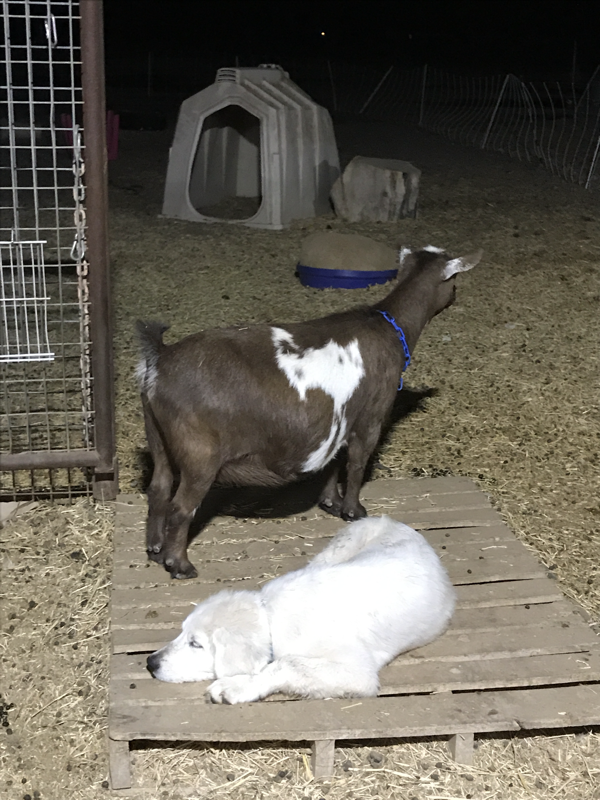 Our pups are always born and raised in our goat barn and well socialized with various types of livestock and people from birth. 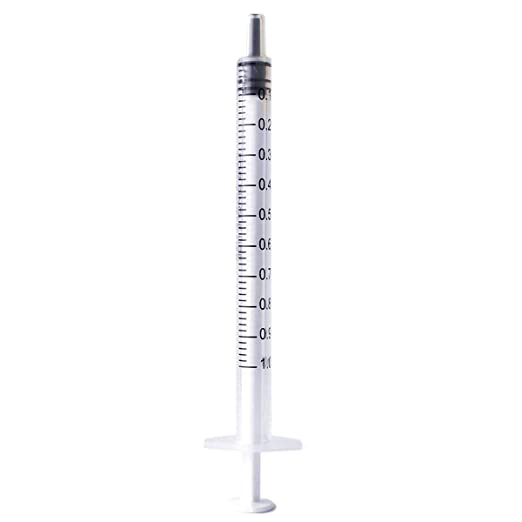 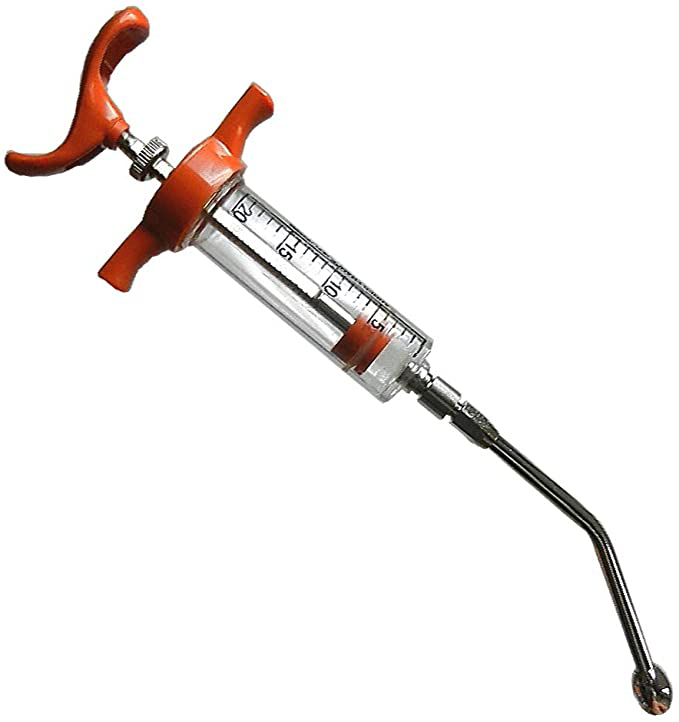 All our puppies are weaned onto 4 Health Puppy Food and raw goat milk, are on a deworming and vaccination program and come microchipped and with lifetime enrollment in the Petlink Pet Recovery System. 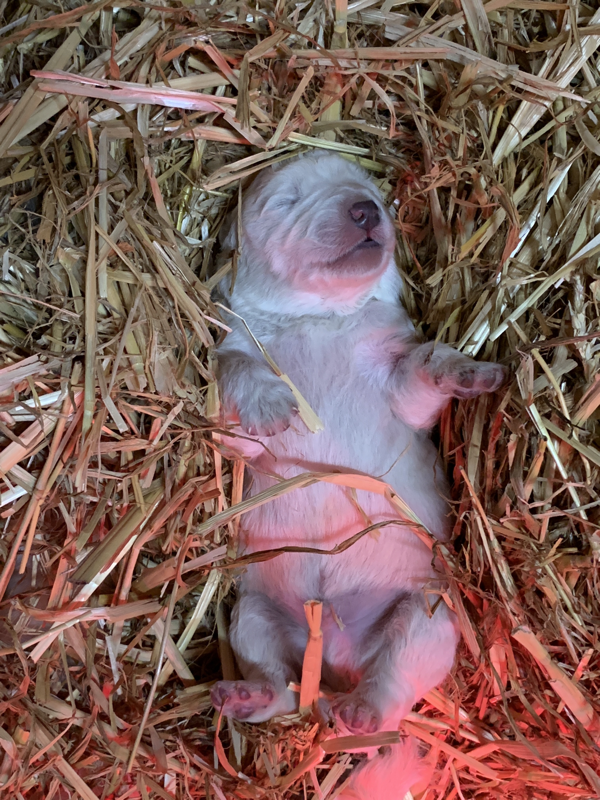 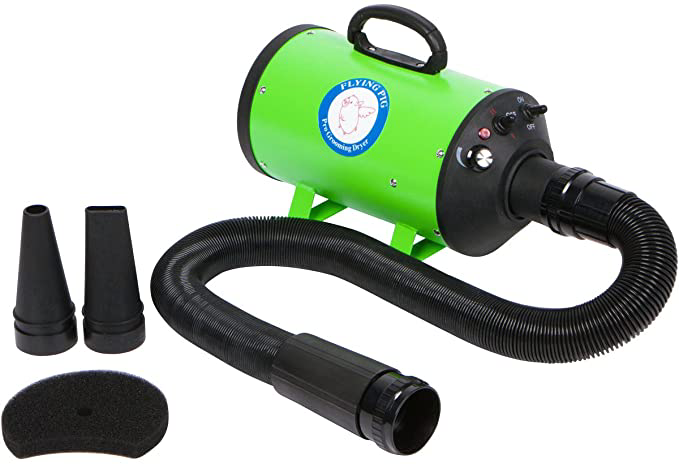 Please see our Sales Policy page for info on purchasing a puppy from us. 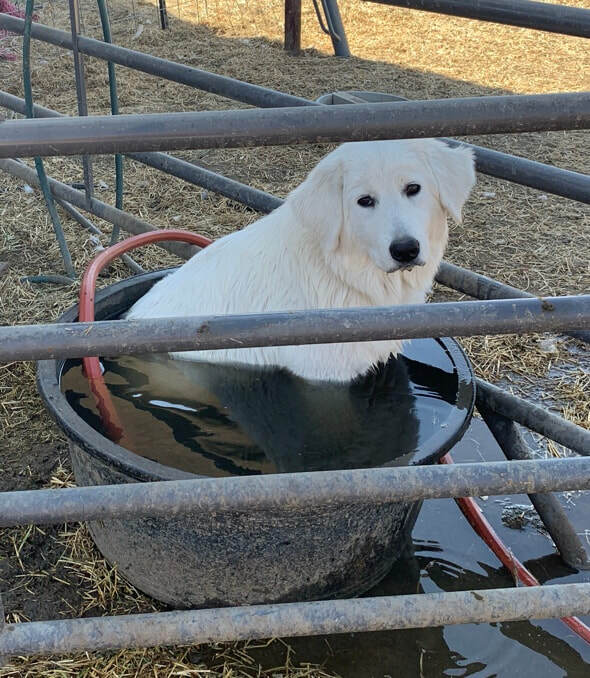 Our Marvelous Maremmas on the job! 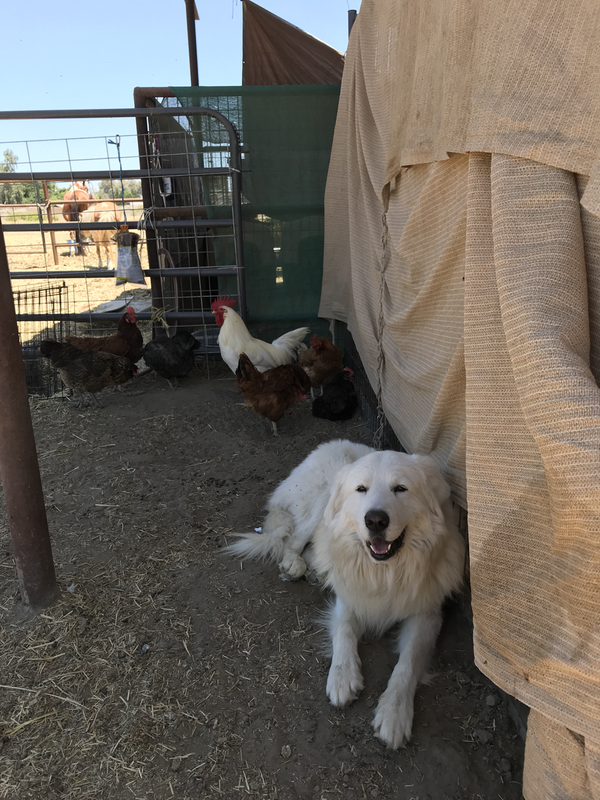 We feed our adult Maremmas 4 Health Performance Formula dog food from Tractor Suppy. 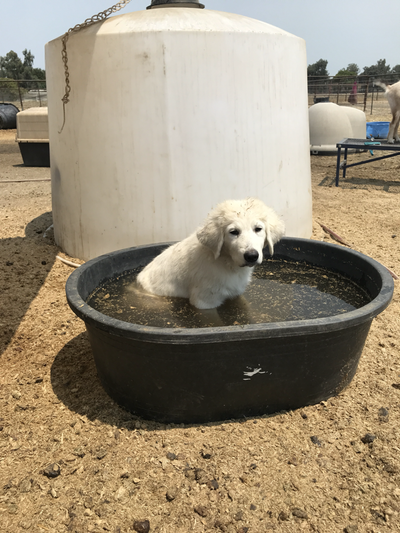 It’s a 5 Star food on Dog Food Advisor and is an outstanding food, giving our hard working Maremmas the superior nutrition to do their jobs! 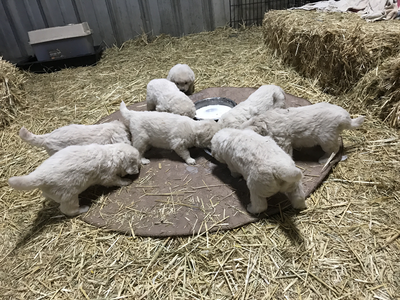 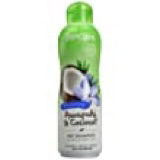 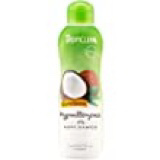 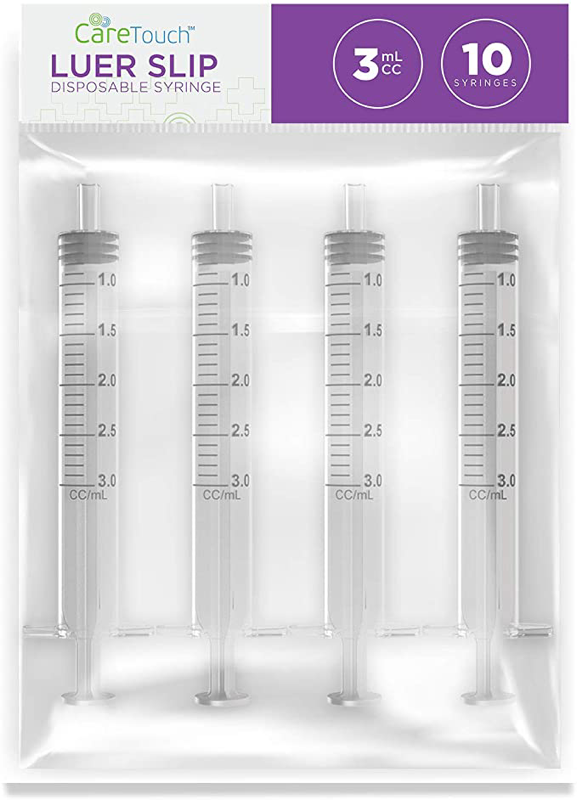 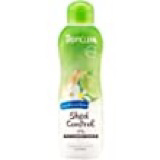 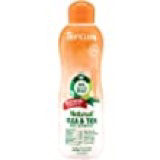 Our puppies and pregnant and nursing females are fed 4 Health Puppy Formula. 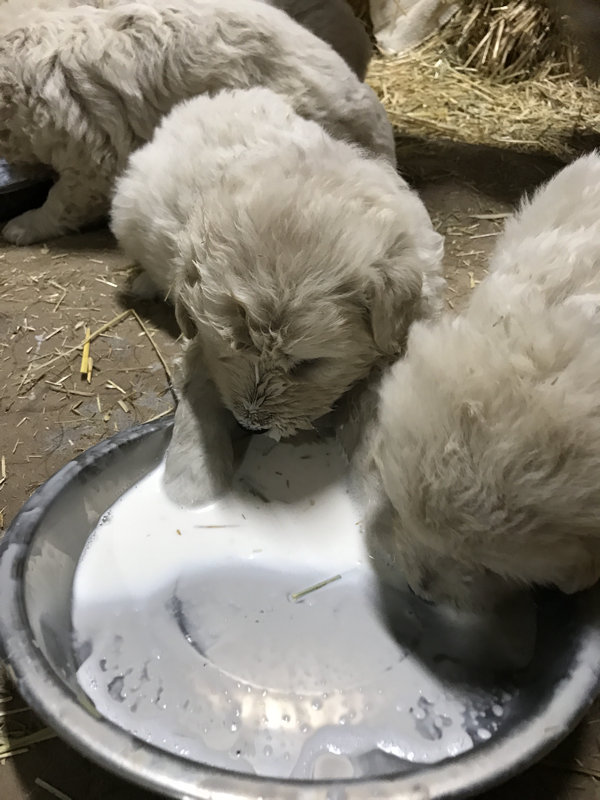 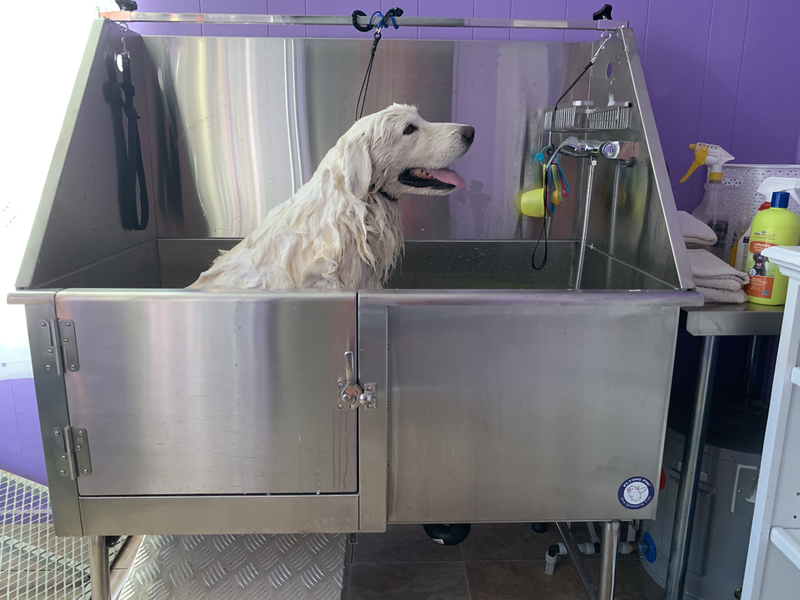 We supplement our dogs’ diet with raw goat milk and fresh raw eggs from our free range hens and ducks. 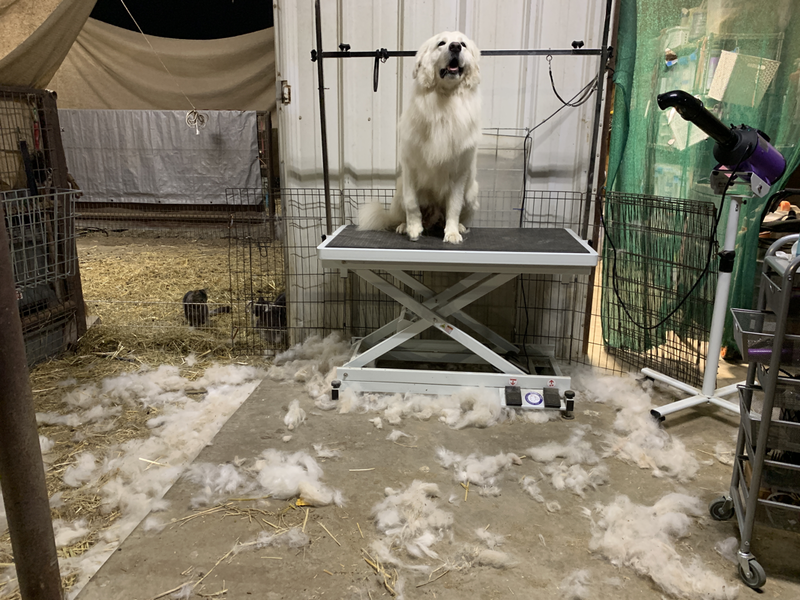 Why you should NEVER shave down your Maremma, or any double coated breed! The science behind how double coated dogs stay cool and shouldn’t be shaved down. 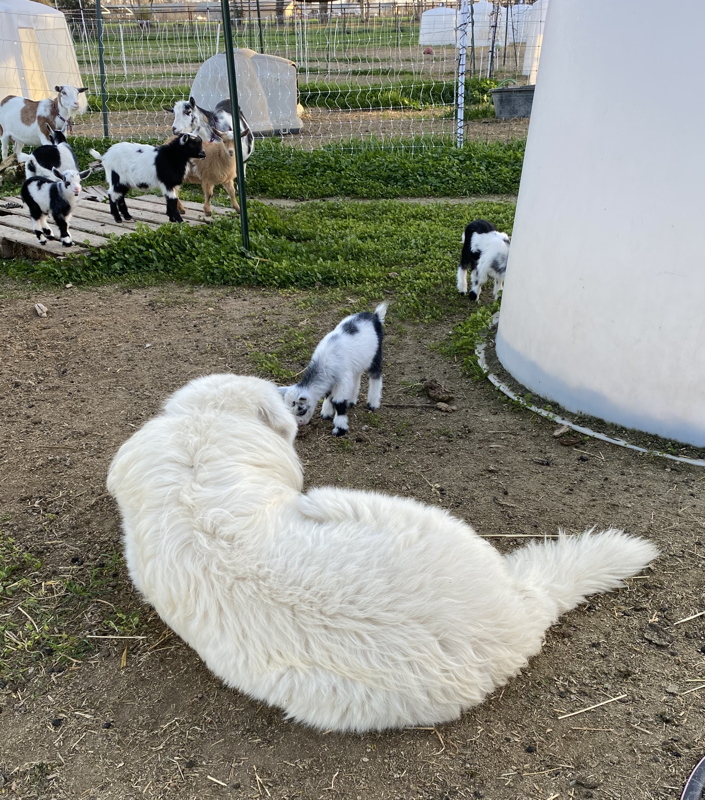 ​​Read the amazing story of the Middle Island Maremma Project, in New Zealand, where Maremmas successfully brought the critically endangered Fairy Penguins back from the brink of extinction!